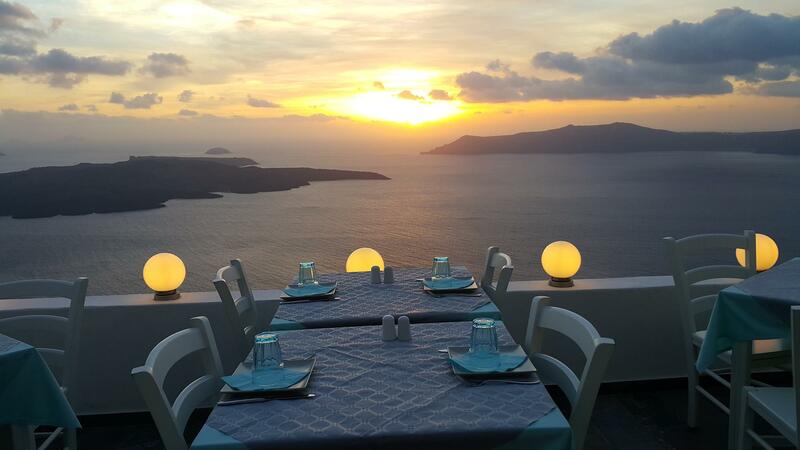 Remvi Restaurant has a magnificent sunset view from its terrace. 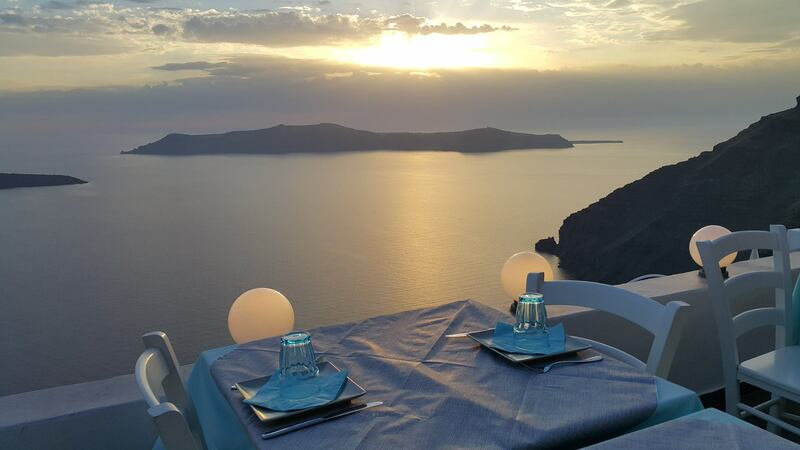 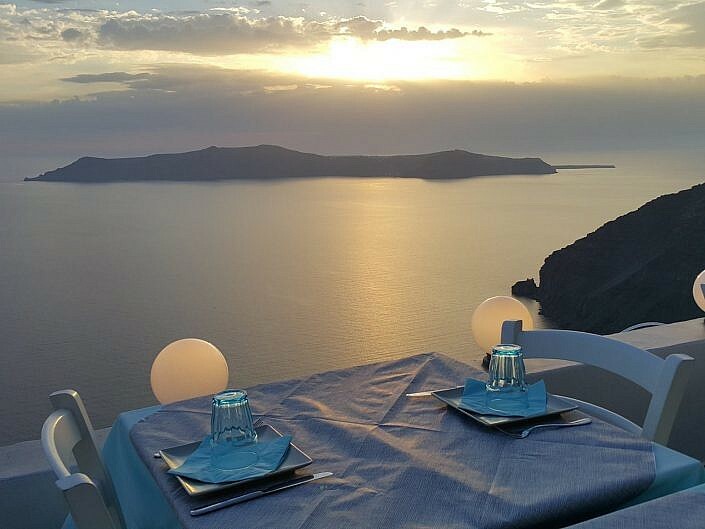 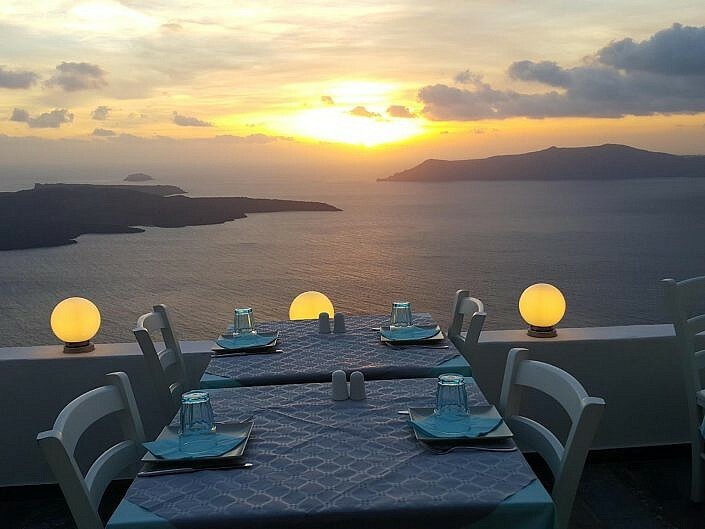 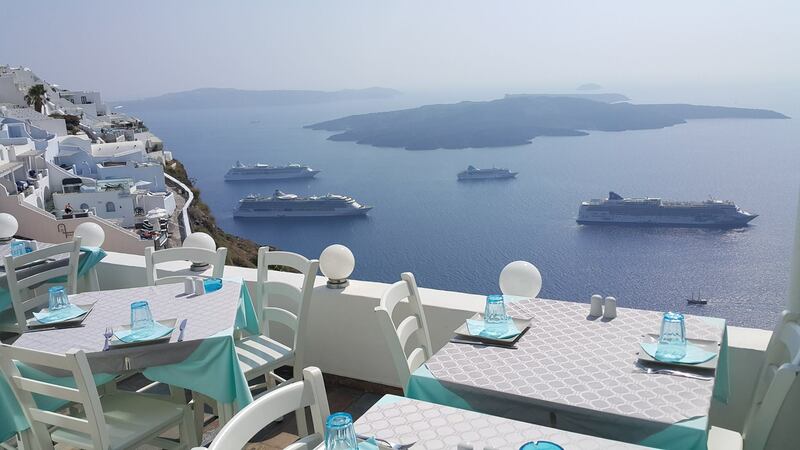 The Restaurant is located on the cliff of Firostefani area (Santorini Island), at high altitude. 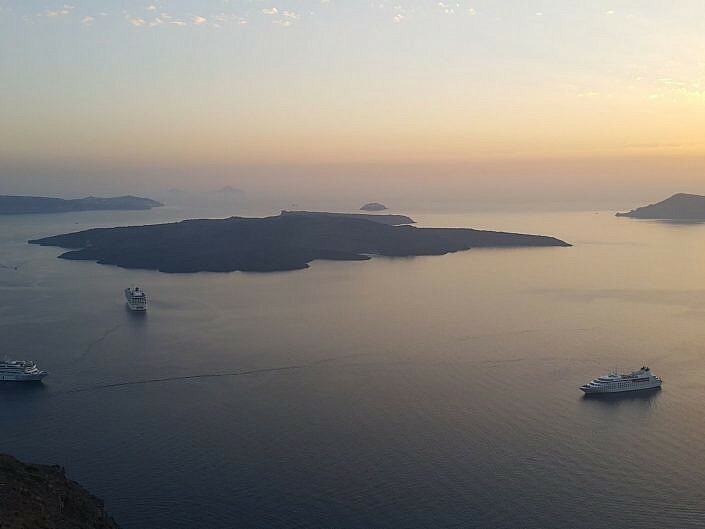 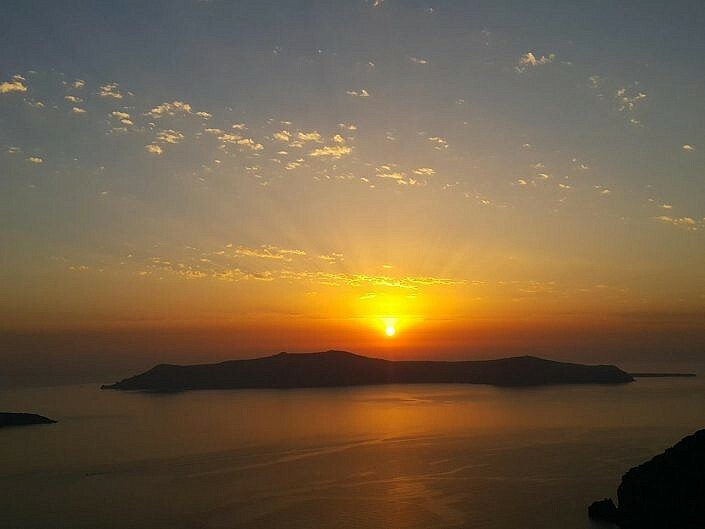 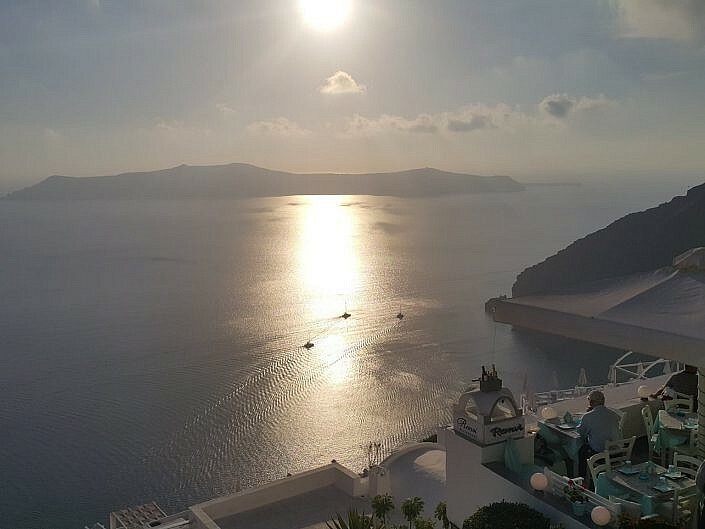 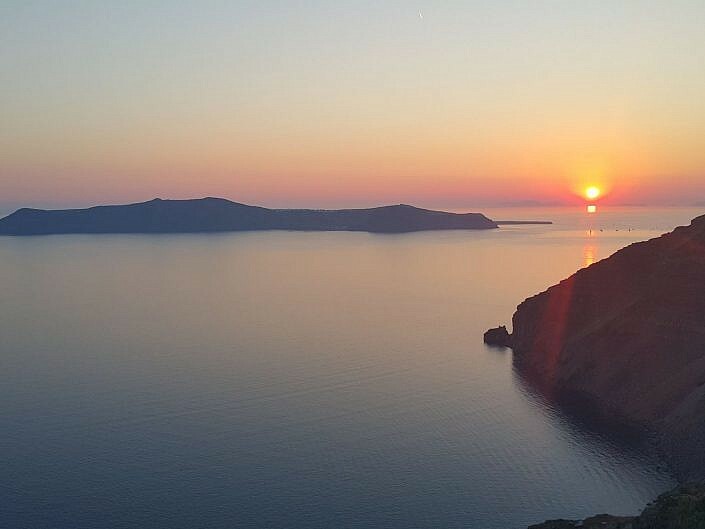 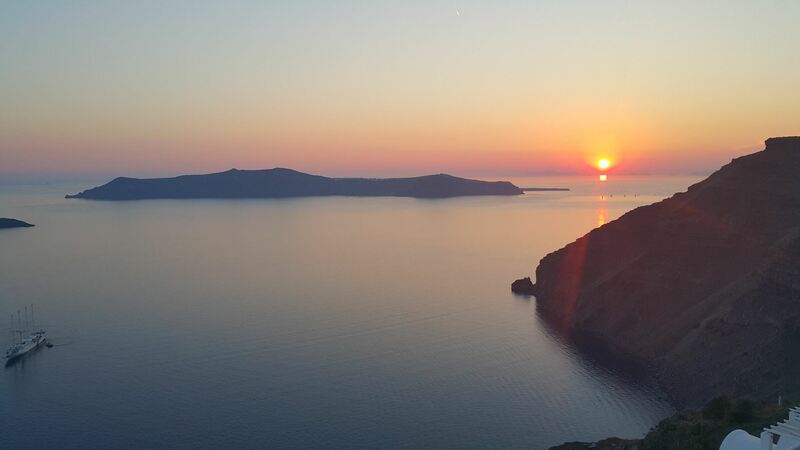 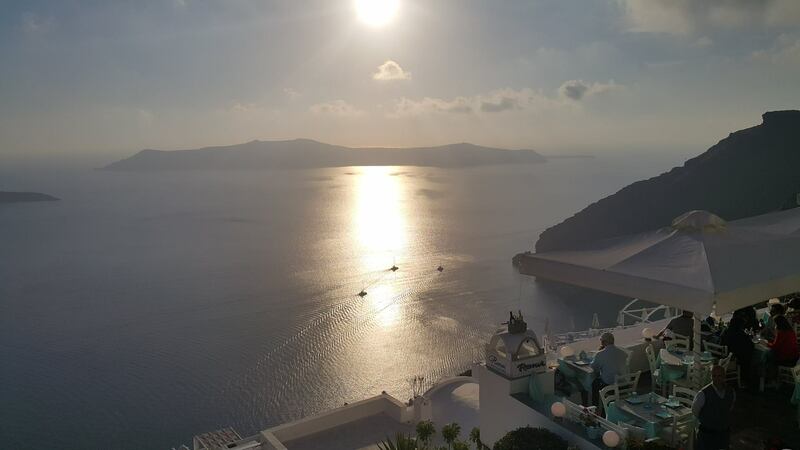 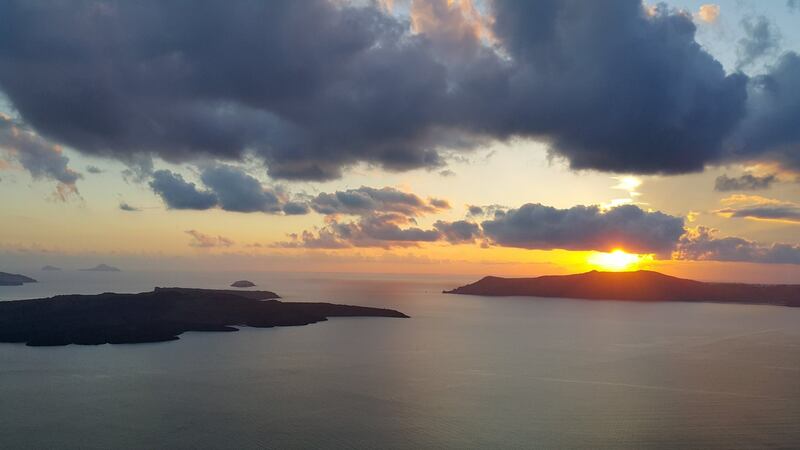 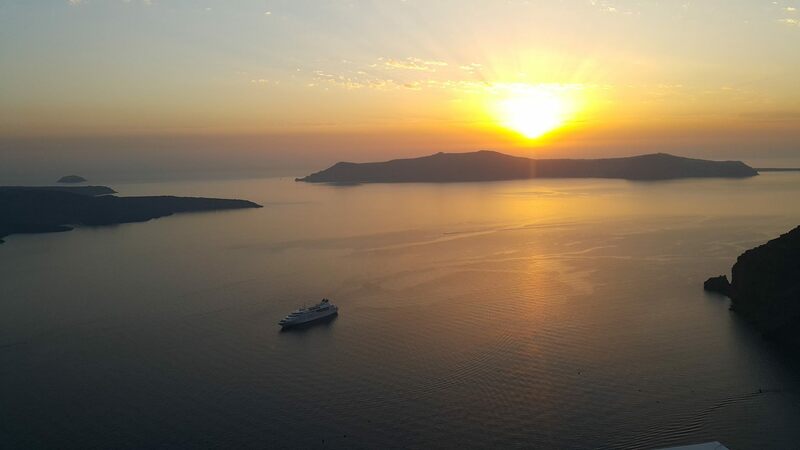 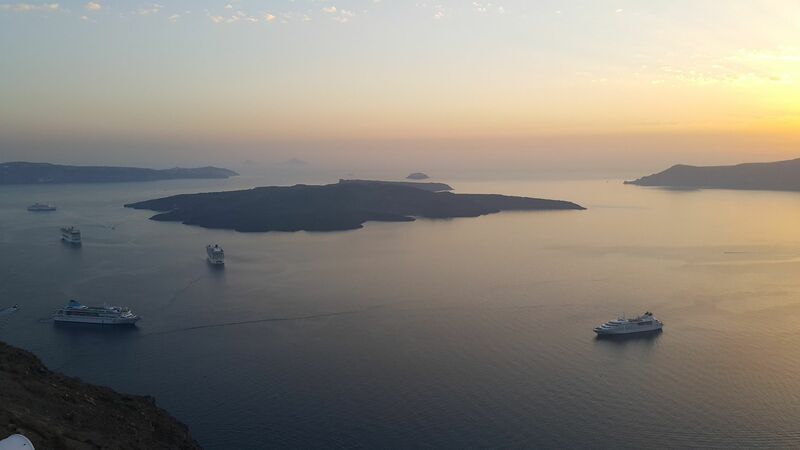 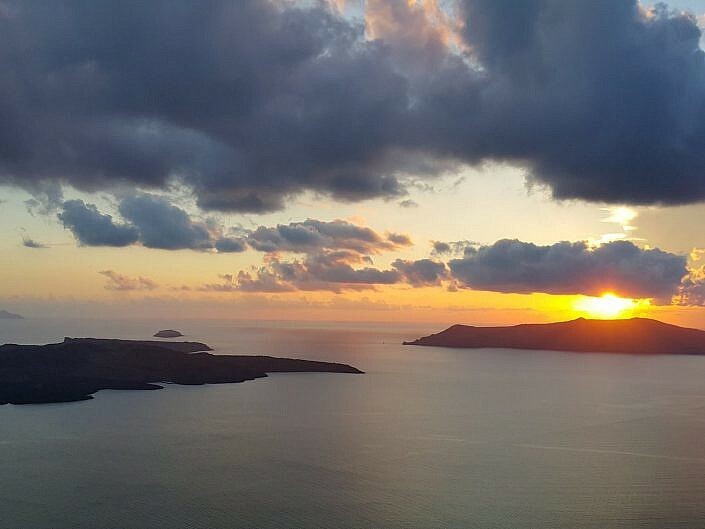 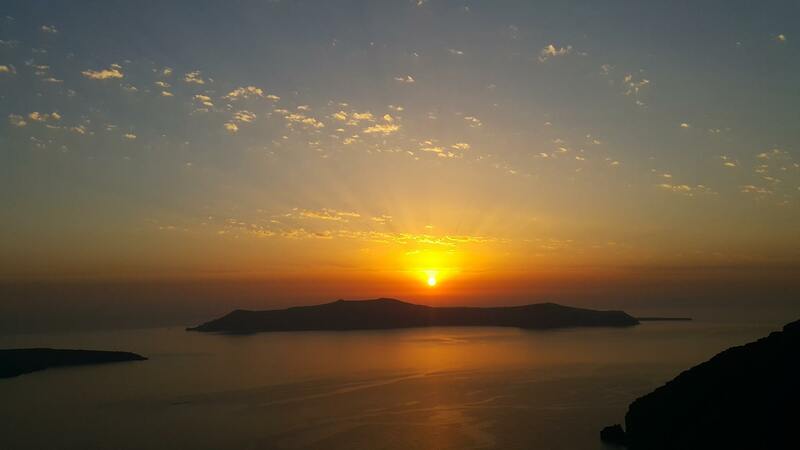 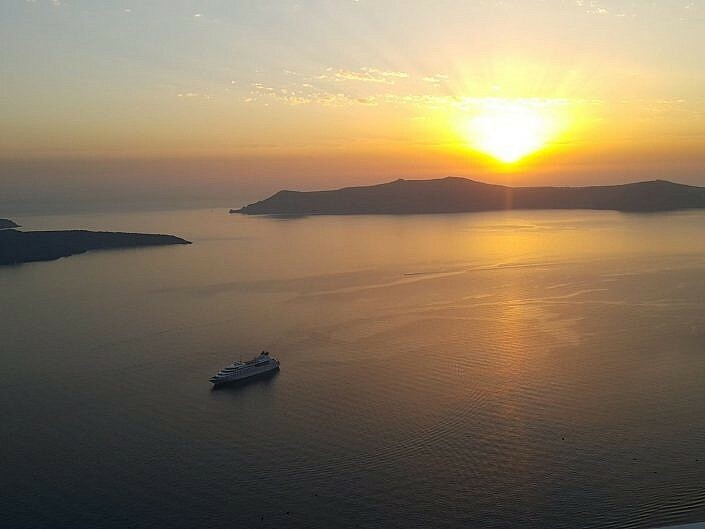 Absolutely stunning sunset views over the caldera. 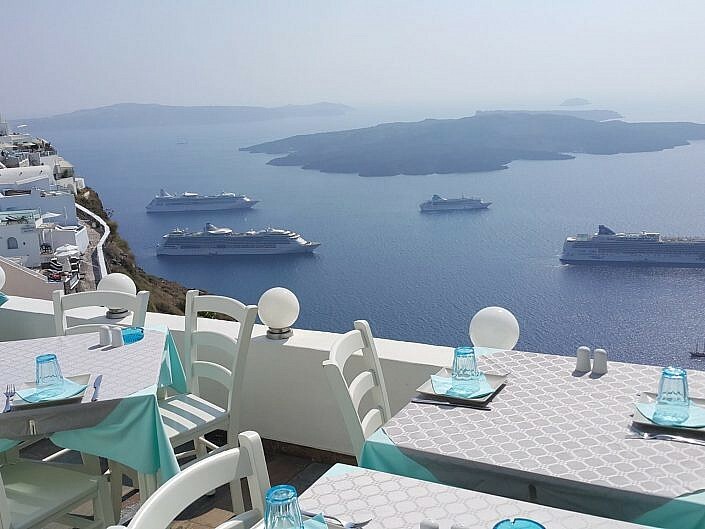 Remvi Restaurant has the perfect setting to relax and enjoy the wonderful scenery.